One Shoe has joined the Thunder Coalition, a worldwide coalition of industry partners of international media group Hubert Burda. Thunder is an open source CMS distribution based on Drupal 8 and is especially designed for publishers. The Thunder distribution provides a full package of CMS functionalities needed by publishers. By using the distribution, publishers and practically every company that publishes content, can save money as it means 70% lower costs of implementing a website. International media group Hubert Burda Media made its Drupal 8 based Thunder Content Management System (CMS) available nine months ago as a free open-source platform for use and further development by other publishers. Today 8 Burda brands use Burda’s content management system, with 65 million visits per month in total between them. Burda now has a dedicated team working non-stop improving the distribution. The team has been talking to about 400 people from more than 200 companies in various countries since March of last year, adding up to around 200 potential clients, integrators and industrial partners. One Shoe, with a new office in Munich close by the Burda Headquarters, decided to join forces and cooperate in making the Thunder distribution an even greater success. Michel van Velde, CEO of One Shoe “We joined the coalition in December of 2016. With our extensive knowledge of Drupal and an office close by, it was a simple decision. We’ve already worked together in a code sprint at the Burda HQ on several Drupal modules used by the Thunder distribution. 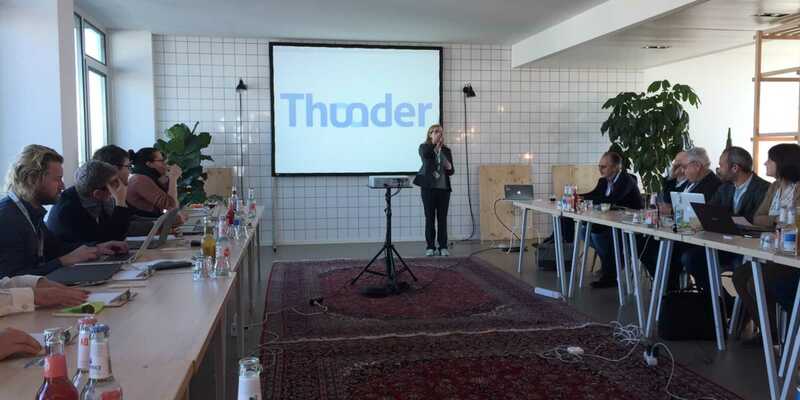 During the Thunder Partner day in Munich we’ve decided to broaden the cooperation by promoting Thunder in Germany and in the Netherlands." Learn more about Thunder here.